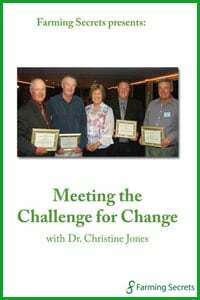 This presentation is a simple, clear message for ALL farmers who want to know where to start when farming without chemicals. Through a series of questions Gerhard asks you: What is soil? 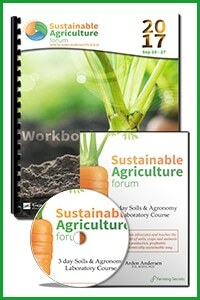 What is soil health? How do you measure it? What is the difference between soil tests? What are the phosphorus & carbon cycles? 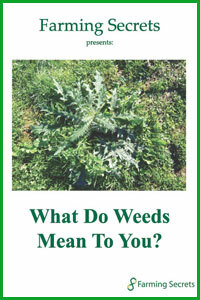 How do you know if your soil is healthy? How do you get a good pasture growing? And lots more probing questions. Above all if you are going to use chemicals, ask yourself why? Are there other ways of dealing with the problem? Gerhard clearly shows you that there is! 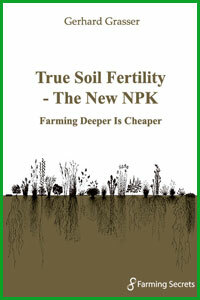 Recommended for ALL farmers who wish to farm with less inputs and understand the importance of their soils. While watching this DVD I discovered that Gerhard Grasser appears to be an open and friendly person with a deep understanding of the dynamics of the soil. He gives a good background to the fundamentals of soil testing and stresses independent analysis. He also discusses available tools for example brix meter for testing soil and presents some interesting slides on fungi / bacteria etc. Would you recommend this DVD? Depends on your level of understanding. For me he was reinforcing a lot of what Hugo has been telling me with a slightly different approach. One action if any would you now take? I think getting comprehensive soil tests is a very good starting point. I have in fact sent two samples away for analysis at EAL. Results of these will determine further action. 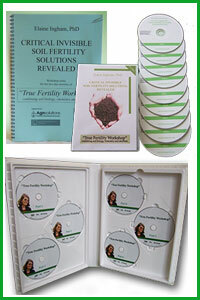 You always pick up snippets of information by watching such a DVD which makes them worthwhile to have. For example, I didn’t know that dolomite has 1.6 times the neutralising effect than lime.